If you’re having a unique bachelorette party, then you’re going to want custom shirts that match your theme. A lot of bride-to-be’s take advantage of holidays to incorporate their upcoming nuptials. 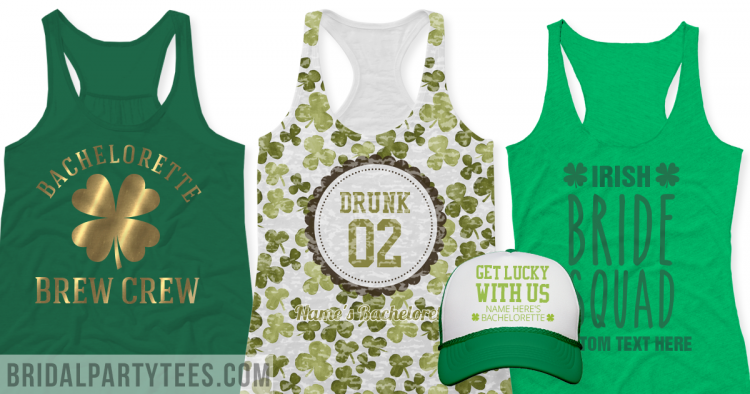 One of the best holidays to celebrate your last night out as a single lady is St. Patrick’s Day. Parades, bar crawls, and drunk shenanigans – St. Patrick’s Day is a great opportunity to let your hair down and party with the best. 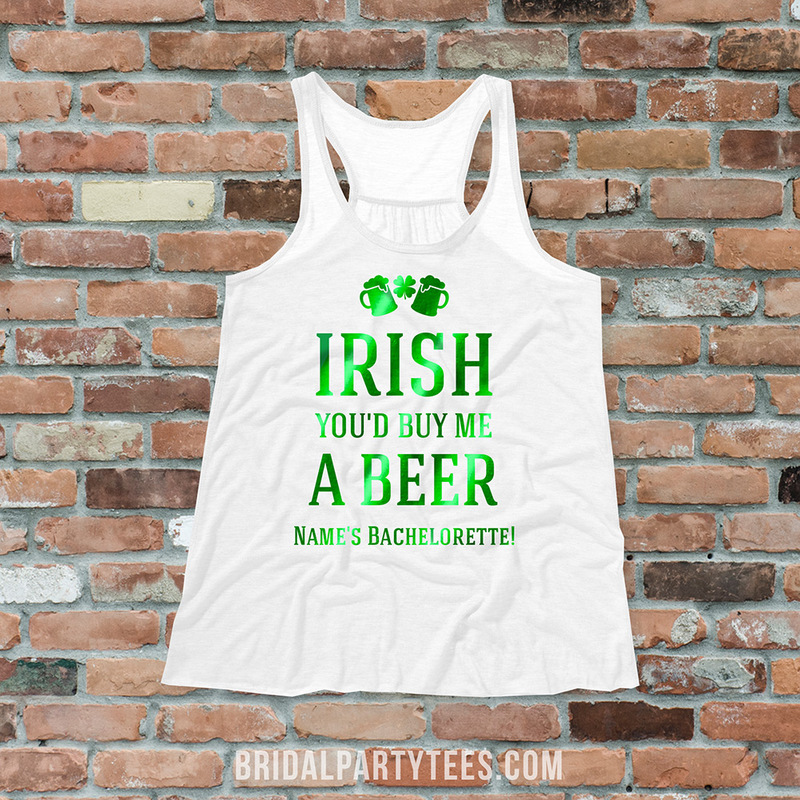 At Bridal Party Tees, we have endless amounts of art in our library and the trendiest bachelorette party shirts for St. Patrick’s Day online so you’re sure to find something that’s perfect for your event! Lucky in love? Kiss me I’m the bride? Our creative designers have filled our gallery with new and trendy Irish designs that are guaranteed showstoppers. We know every bride has their own style so we make sure to keep a wide selection of shirts that any design can be added to. Take any design from our gallery and easily swap out the product to whatever style you like best. It’s as simple as that! No matter where you will celebrating this festive holiday, you will surely be noticed in the throngs of people living it up. This year we are beyond excited to announce that we’ve added new printing processes to enhance your St. Patrick’s Day apparel! Add metallic foil to your design to sparkle and shine or choose an all over print to really stand out in the crowd. These new processes are truly unique in custom apparel and will create memories that will last a lifetime. Need something extra unique or a large order for your group this year? Let us know and we’d be more than happy to help you achieve the design you are looking for! Clique, squad, or entourage – there are many different names to call your girl gang. One of the most popular and trendier terms that has caught on in the bridal industry is bride tribe. The word tribe can be defined as a group of persons having a common character, occupation, or interest. It makes perfect sense that the bride would want to surround herself with the people she loves most and use this term to celebrate a very significant moment of time in her life. Bridal Party Tees bride tribe shirts are a big hit with bride-to-bes. They cannot get enough for this catchy saying and love to wear it even more. We love to see all bachelorettes rocking our designs and wanted to share one of our all time favorites with our devoted fans! What we really admire about this amazing photo is that this group of ladies created custom bride tribe shirts. Our bride tribe gallery is full of airy feathers, hand sketched arrows, and one of a kind text art that you will not find anywhere else but with the ability to customize any design onto any product we offer, these ladies designed bright neon crop tops for their bachelorette party cruise. It goes to show that every bridal saying or slogan can work for any theme you are trying to accomplish. Way to go ladies! Think these fabulous beachy, neon bride tribe shirts work for your bachelorette theme as well? No worries. You can’t get them here! These tan maids shared their picture with us via Instagram and you can too! 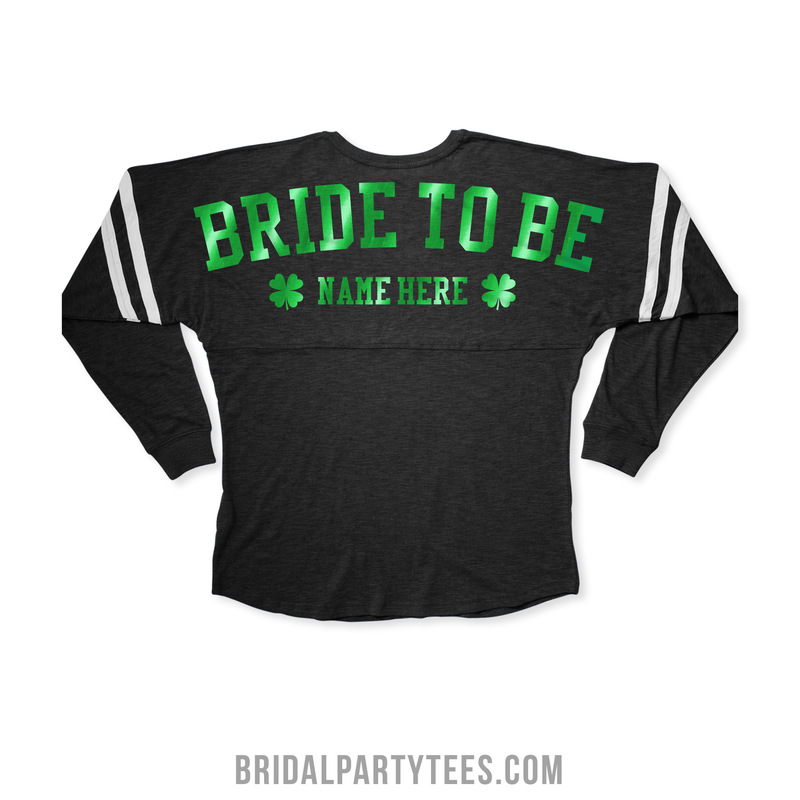 Easily share your pictures with us on Facebook, Twitter, or Instagram @bridalpartytees! Stand out in the crowd with custom Mardi Gras bachelorette party shirts. Use coupon code below to save! Use coupon code 217BPT at checkout and get $3.00 off orders of $30.00 or more! Offer expires 2/28/2017 at 11:59PM EST.